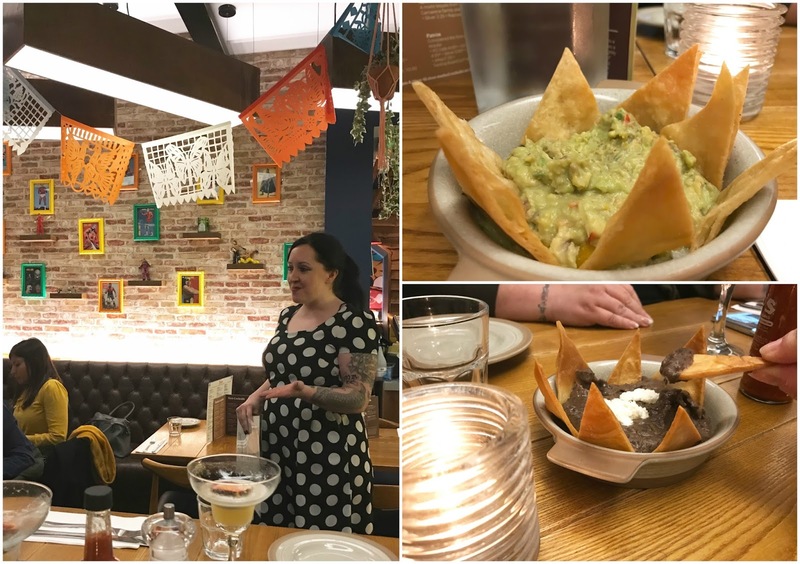 A few weeks back I was invited along to one of my favourite local restaurants, Bodega Cantina. 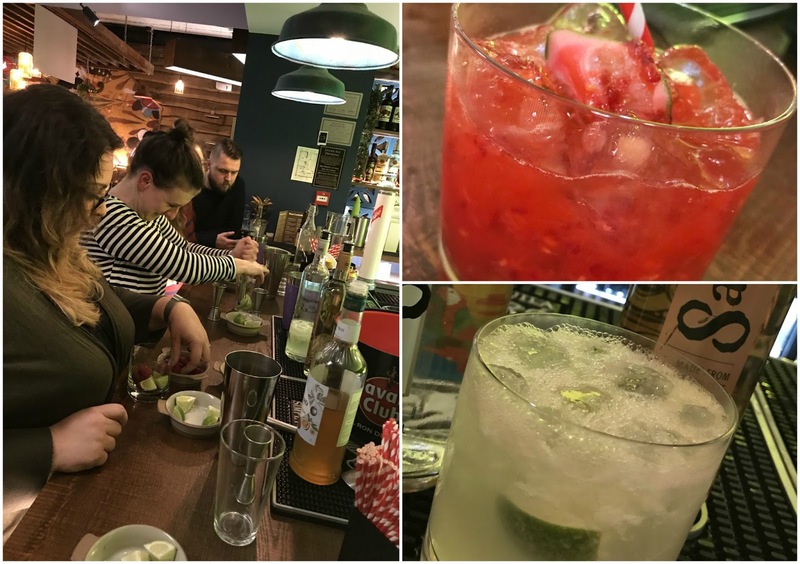 They were launching their new spring menu and they invited a few of us blogger types along to see what we thought. 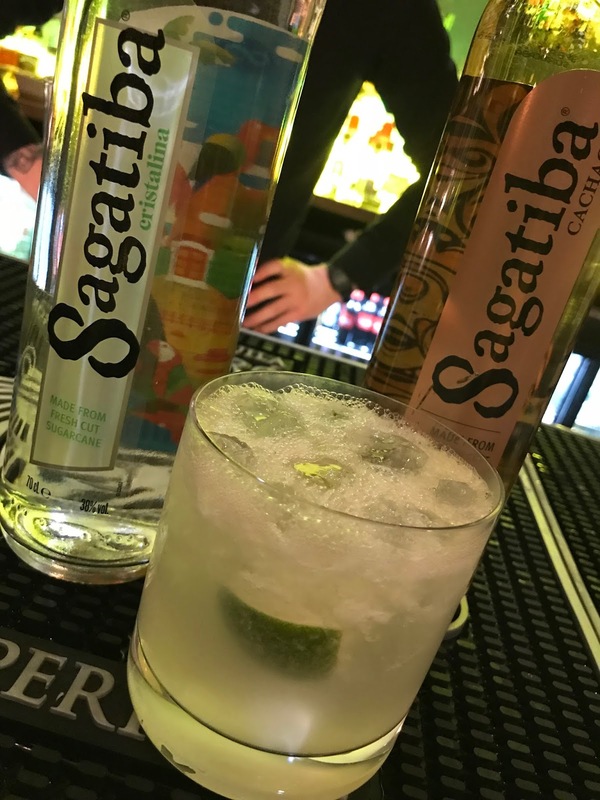 My first review of Bodega was back in 2016 when they first opened their doors. Now, I liked the menu that was and worried they may change too much and loose some of my favourites. I don't like change cos I'm a funny bugger with food! I think from feedback they'd had in the past they wanted their menu to feature more plant based recipes. 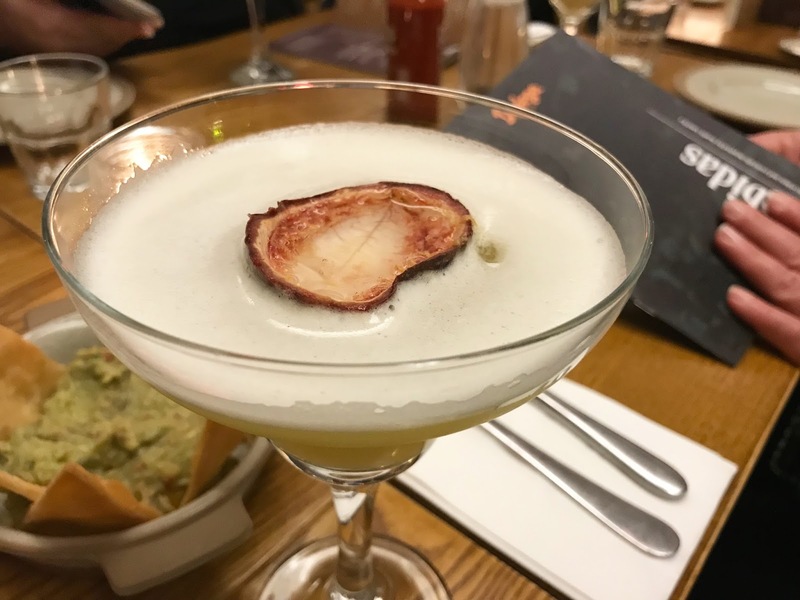 We kickstarted our evening with a pornstar daiquiri, a rum based cocktail with fresh lime, pineapple juice, a splash of passionfruit and prosecco in a passionfruit shell, all whilst nibbling on tortillas with guacamole and refried beans. If they'd have sat me in a corner on my own all night plying me with these cocktails I'd have been a very happy bunny, with the chips and guac too of course! The lovely as ever Vicky talked us through some of the new options on the revamped menu and what we'd be tasting. One was a dish that had tofu in it, and I've never tried it can you believe, so was looking forward to that one, in fact they all sounded delicious! First up were the blue corn tacos. 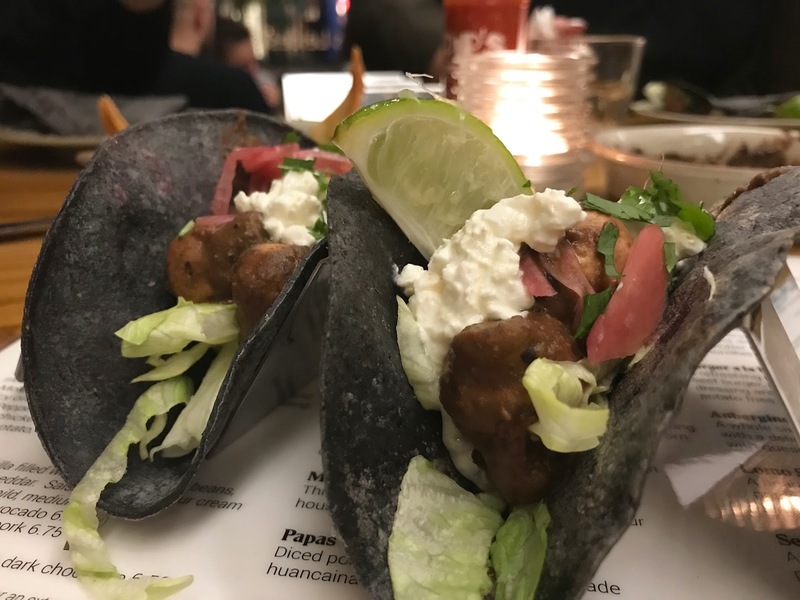 Slightly different from their regular tacos, they're made from blue corn flour and are gluten free. 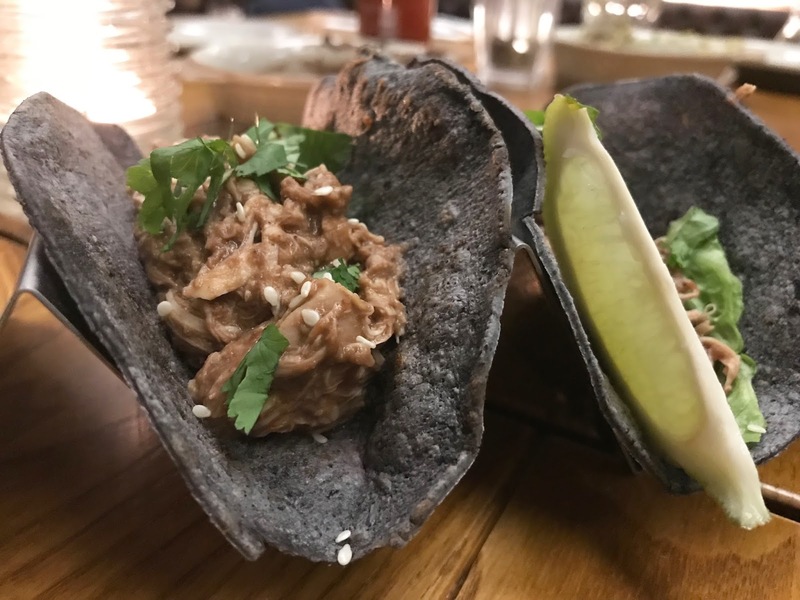 We sampled the mole chicken and the mole mushroom tacos. For me the shells don't look very appetising and they were a little on the chewy side to be honest. As far as the filling goes I liked the vegetarian one, although not something I'd usually choose, but the chicken one lacked something for me. There just wasn't much flavour, it needs some spice to give it a bit of oomph! At lunchtime I used to enjoy their chicken quesadilla as a light bite, which was tasty and spicy but they've gone and changed it to the mole chicken, which makes me very sad indeed. 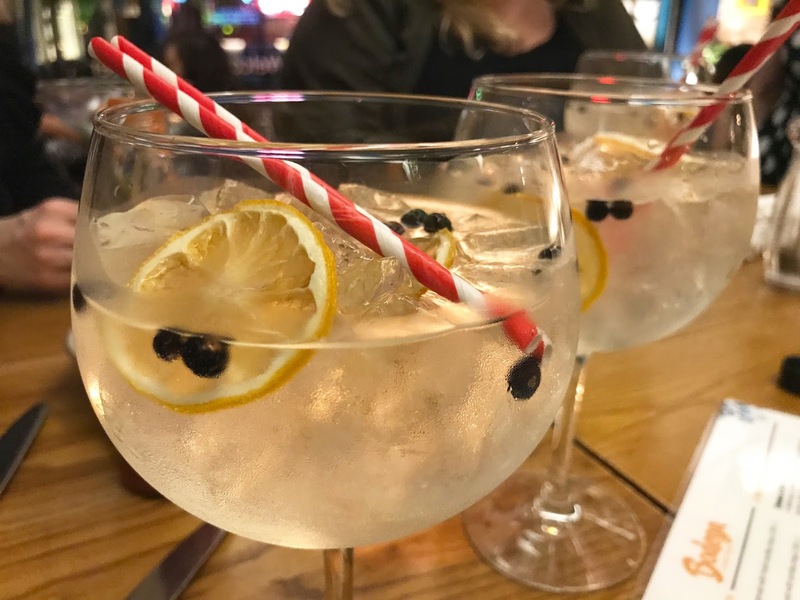 Next up were the new mains and our drink to accompany them was a rather large gin and tonic. Happy days. Tops marks for moving away from plastic straws too. 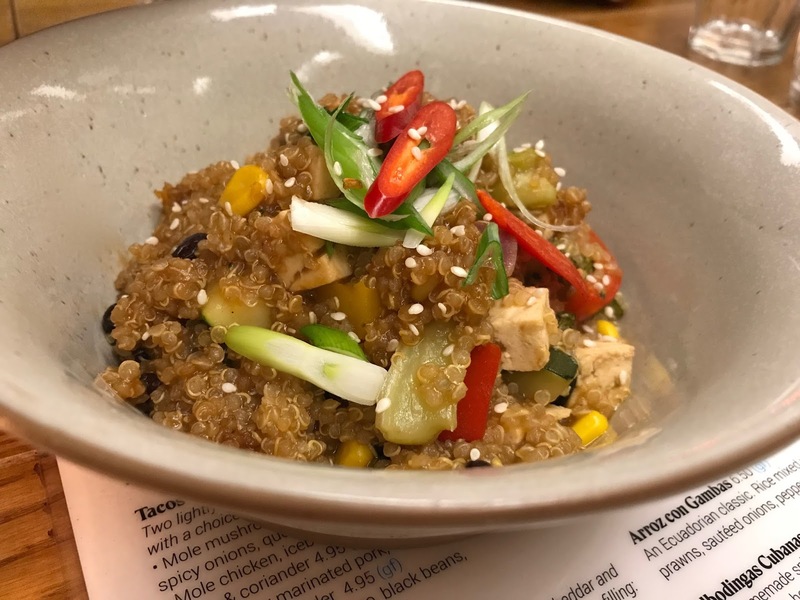 First, lets talk about the quinoa chifa. This is a chinese-peruvian style stir fry and I was really looking forward to trying this. With the tofu. This mix contains quinoa, obviously, tofu, broccoli, sliced vegetables and spring onion in a teriyaki sauce. One word. YUMMY. Who knew I liked tofu??? Apparently the girls said it has to be cooked right otherwise it's not so nice. This dish pleasantly surprised me. It's deliciously tasty and quite light. I could have easily eaten more. Not a dish I would usually choose off the menu but I will in the future. After another slurp of my gin, I dived into the Xim Xim. A Bodega classic this one but they've changed it slightly by replacing the cream with a coconut milk sauce. Chunks of chicken, prawns and vegetables wrapped in the creamy peanut butter and coconut sauce served with dirty rice and tortillas. Just the right amount of spice and sauce! De-licious. We also tried one of the light bites too, the sticky agave sweet potato. 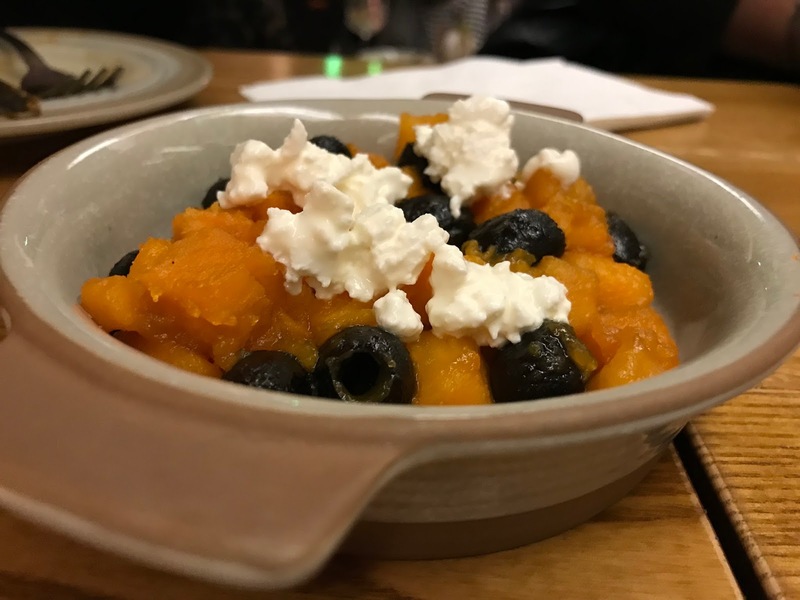 Small sweet potato cubes with black olives, queso fresco (a kind of latin american cottage cheese!) and agave syrup. Now I thought I'd love this, apart from the olives, I did skirt around those, as I have a sweet tooth but I was a little let down. The dish itself is tasty, but the potatoes were a little mushy, they needed to be more firm but I think it's the syrup that does it. The queso fresco is delicious. It may be too sweet for some this one, but the girls said that the salty olives offset a little of the sweetness, I wouldn't know, I hate the things! Mushy potatoes aside I'd have it again. Bellies full, we moved on to a cocktail masterclass and making our own Caiprinhas. We certainly had a lot of fun and laughed. A LOT. The menu is different but they have some great new additions, yes it's sad that some of the old stuff has gone, but I guess you've gotta change it up a bit every now and then. 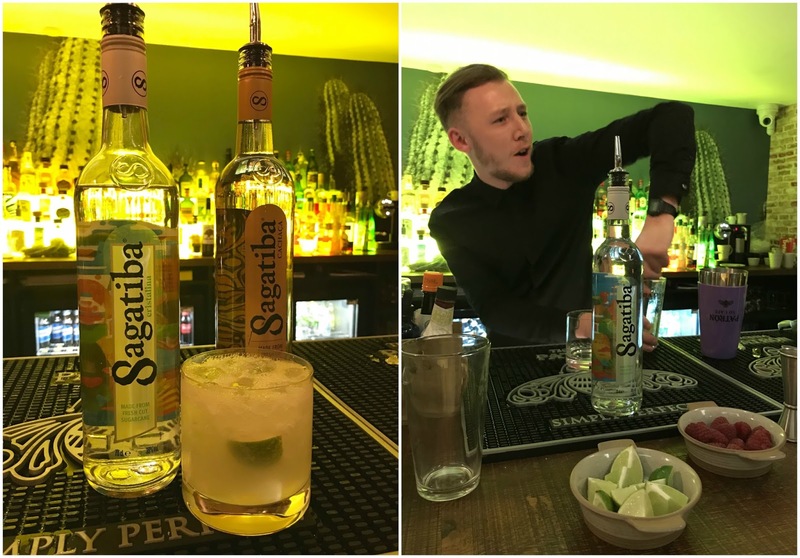 If you still haven't been to Bodega then what are you waiting for? They have restaurants in various locations with the one in Leicester situated in St Martins Square. Check out the locations and menus here. Thank you for inviting me along for the purposes of this review. All thoughts and opinions my own. You might also like to read: Black Iron at Winstanley House.